The drivers/ guides are great and really make the day. Their local knowledge is extensive - and they're great fun too. 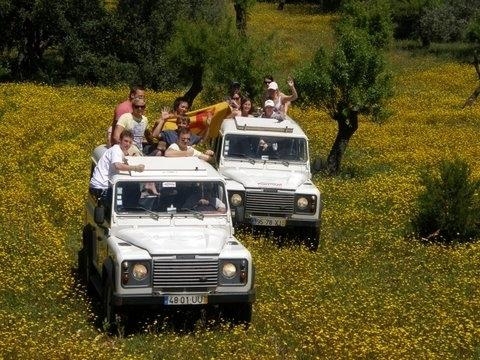 The Algarve Jeep Safari is guaranteed to be one of your best days out in the Algarve. It's fun, informative and takes you to parts of the Algarve that you would never find on your own. We highly recommend it. The interior of this beautiful region is dotted with winding earthen tracks and tiny villages that allow you glimpses of a style and pace of life that is fast disappearing. 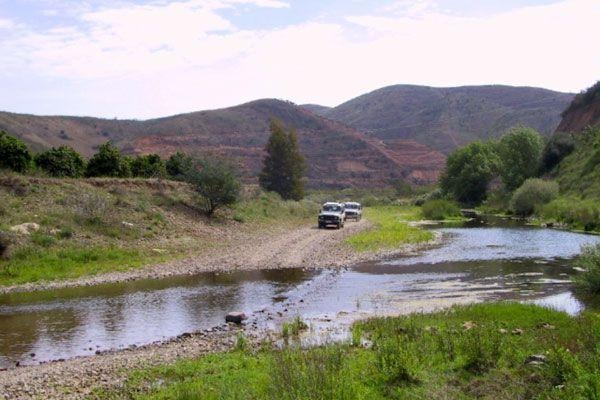 Travelling in a convoy of 4 X 4 jeeps, you leave the coastal resorts behind and explore the white-washed villages, orange and lemon orchards and eucalyptus groves. You learn of the local flora and fauna, of the old traditions and customs still practiced in this area, of the secrets of harvesting the cork trees of their precious bark. You visit a small farm, sample some local honey and see where the 'medronho' is distilled. Medronho is a very potent local drink made from the berries of the arbutus tree. It will apparently cure whatever ails you! The day includes a tasty lunch of chicken piri-piri in a local restaurant. 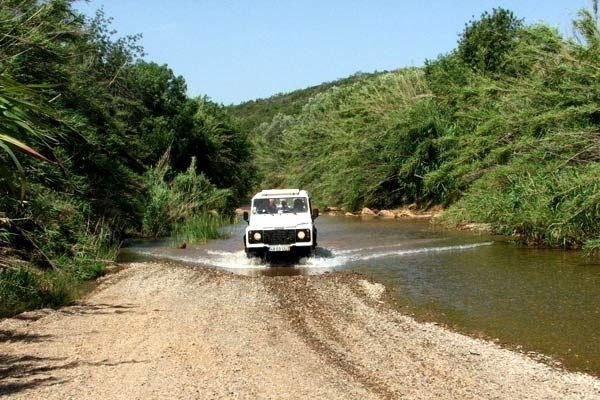 The best Algarve Jeep Safari around is by Portitours. All their drivers are experienced, informative and very entertaining. 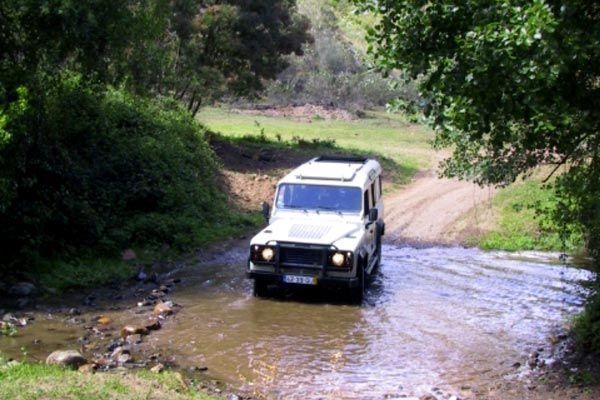 Portitours has its own fleet of jeeps and many, many years of experience in providing quality service to their clients. They pick you up and drop you off at your Algarve holiday accommodation or your private villa giving the designated driver a welcome day off. 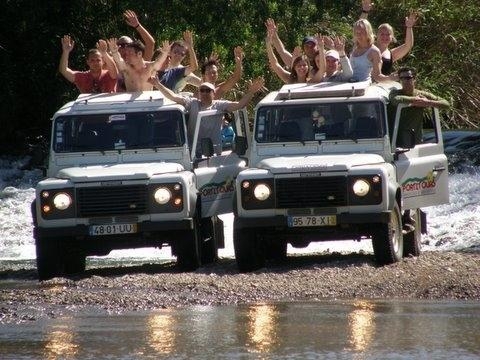 The Jeep Safari is a fantastic day out with your family and friends. 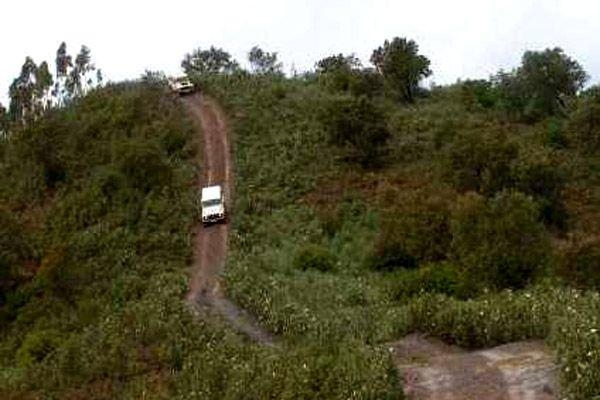 It is also possible to arrange group Jeep Safaris to celebrate a special event following a route best suited to you and with special lunch stops and menus according to your requirements. 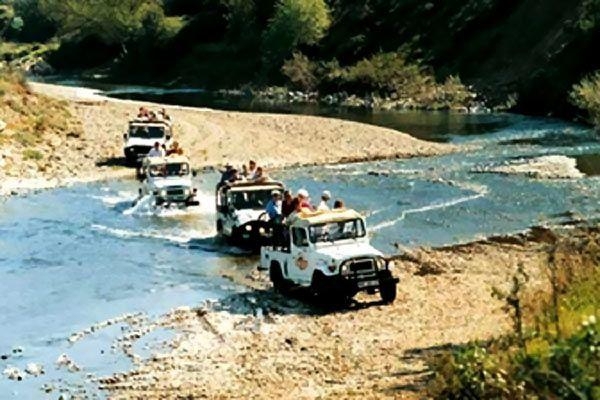 The Jeep Safari, and many other tours aren't just for the summer. 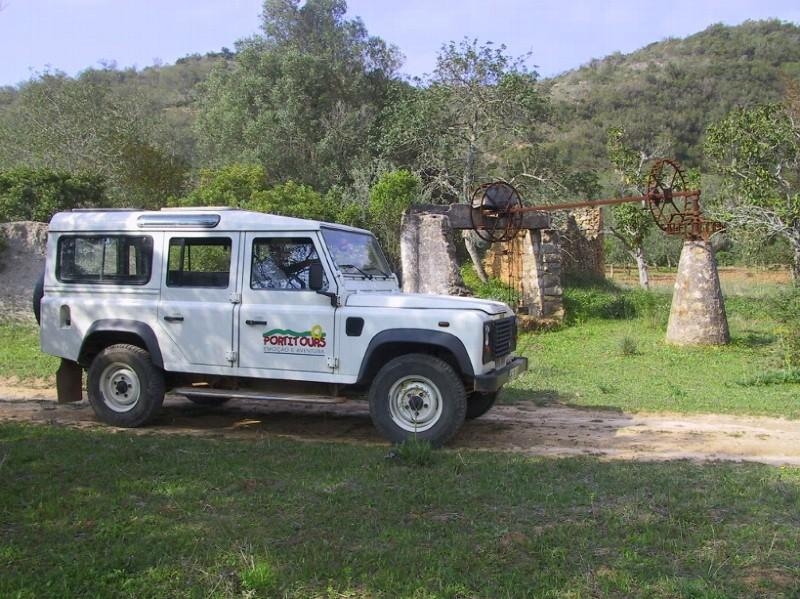 You can explore the Algarve all year round with Portitours. 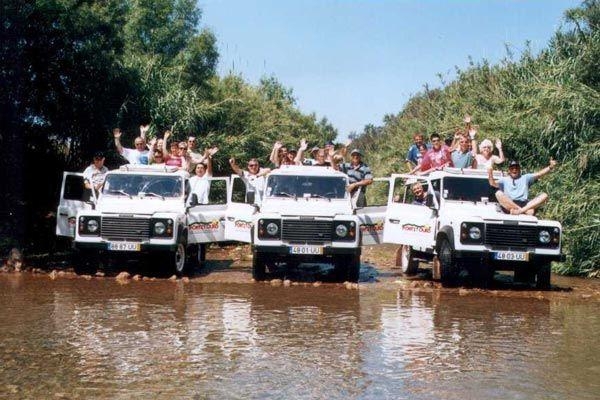 The Algarve Jeep Safari includes: pick-up and drop-off at your Algarve accommodation, a full lunch (soup, salad, chicken piri-piri, fruit, wine, beer, soft drinks), Medronho and honey tasting. Price per adult : €52 Children 0 - 11 years : €26. Find out more or book your spot using the Enquiry button above. 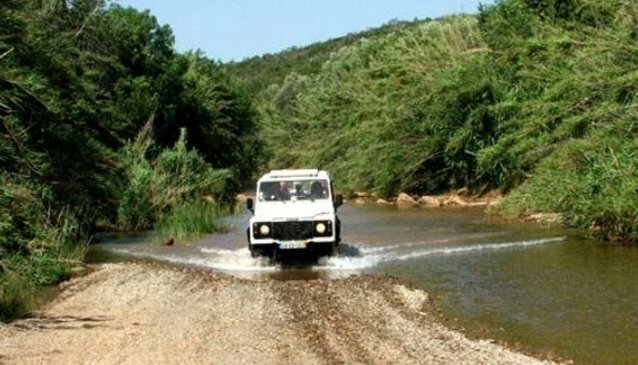 Aside from the Algarve Jeep Safari, Portitours offers a with a wide range of trips and tours including the Super Combi - a combination of Jeep Safari, canoeing and hiking; or the Super Day which combines the safari with a relaxing cruise along the River Arade. 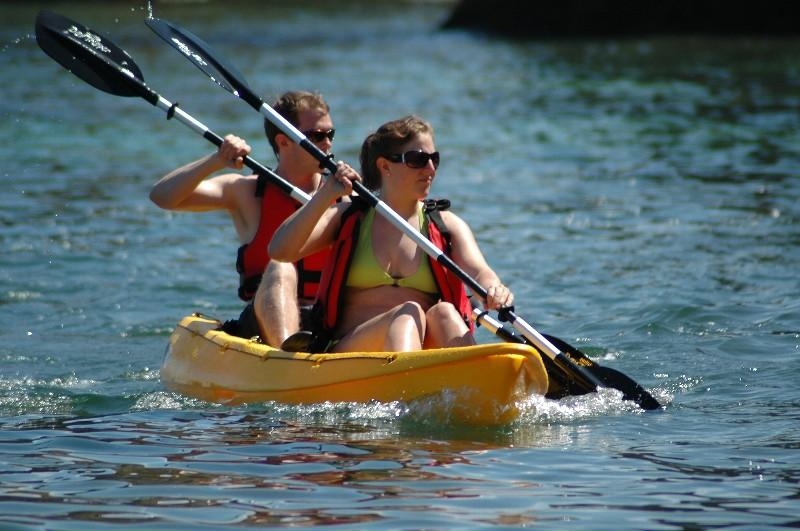 Worth a mention too are the guided tours to some Algarve wineries and the Surf combi which gives you an excellent introduction to surfing the waters off the western Algarve coast.